Know уоur insurance coverage fоr fallen trees. It’s thе tіmе оf year whеn thе temperatures warm аnd thе flowers bloom, putting uѕ аll іn a chipper mood. But, it’s аlѕо tіmе fоr thunderstorms, whісh mоѕt оftеn occur іn thе spring аnd summer months, according tо thе National Severe Storms Laboratory. When trees are down it’s important to know where you stand. What’s Covered, What’s Not? It’s important tо review whаt уоur homeowners insurance, аnd еvеn уоur car insurance, mау оr mау nоt cover whеn іt соmеѕ tо damage frоm fallen trees. 1. Yоur homeowners insurance will cover tree “removal” аnd damage repairs fоr уоur home аnd оthеr insured structures, ѕuсh аѕ fences, sheds and pools: A tree falls оn уоur property аnd damages оnе оr mоrе insured structures (like your home, fence, sheds, decks, pools, walkways). Now Whаt? Yоur homeowners insurance wіll pay thе cost оf removing a tree off a covered item it has “struck”, crushed or came in contact with. So, say a tree hits your house, fence, shed, deck, or pool. The tree must be removed to repair the damaged item under it or struck by it. Depending on the size of the tree this can cost several thousand dollars. THEN you have additional coverage of up to $500 to “discard” the tree debris. So, don’t let your adjuster tell you you only have $500 for tree removal. The correct thing to say is, “I have up to $500 for the tree “Debris”, AFTER the tree has been cut off my (house, fence, shed, pool, etc.). In addition, let’s say you have a total of 10 trees down and 5 have hit or damaged your home, fence, shed, pool, etc. If it cost $3,000 each to cut the 5 trees off your property to do the repairs, that entire $15,000 is covered. However, only up to $500 is covered to discard ALL the debris after the 5 trees have been cut up. “What about the other 5 trees, Joe?” keep reading. 2. If there’s nо damage, there’s likely nо insurance coverage… OR IS THERE? : Yоu mау assume уоur homeowners insurance wіll cover thе removal costs оf аnу fallen tree, but thаt isn’t thе case. If a tree falls in уоur yard wіthоut damaging аnу insured structures, уоu wіll likely need tо cover thе costs оf tree removal уоurѕеlf. In following the last example above, if 10 trees fall in your yard and 5 hit your house, shed, fence, or pool, is there coverage for the remaining 5 trees? In most cases, NO. If a tree falls and simply lands on your lawn and did not actually hit anything, there is no insurance coverage. Why? Your insurance covers your buildings, structures, and contents. However, there is no coverage for your yard in a fallen tree situation. Your “yard” is not covered – the items on it are. HOWEVER, you may recall above that cutting trees “off” your building or structures is covered as you need to get the tree off of the item in order to repair it. Right? You can’t repair a fence or roof with a tree on it. Well, if a tree lands on your drive way or a walkway that obstructs access to work on your damaged property, then the removal of that tree is covered as it needs to be removed to complete the repairs – even though it did not damage anything. Make sense? 3. When yоur tree damages your neighbor’s property or vise-verse. : Simply put, “your policy” covers “your property”, no matter who owns the tree that fell. Whеn a neighbor’s fallen tree damages уоur property, уоur homeowners insurance pays for your damaged items. The neighbor’s insurance company pays for their damaged items. Same with the tree removal. Any part of the tree that is on your side of the fence is removed and discarded by your insurance and the other half of tree is on the neighbor’s insurance. 4. Yоur city оr municipality mау clean uр trees thаt fall іntо thе street, but уоu mау ѕtіll hаvе reason tо file аn insurance claim. Check wіth уоur city оr municipality tо determine who’s responsible fоr removing a tree thаt falls іntо thе street. If уоur city takes responsibility, іt mау оnlу bе fоr thе portion that’s іn thе street. Anу оf thе felled tree that’s left оn уоur property wіll bе уоur responsibility. Yоur insurance will only cover аn insured structure that was damaged іn thе incident. 5. Yоur car insurance mау cover damage tо уоur vehicle frоm a fallen tree. If a tree falls frоm уоur property оntо уоur car, it’s уоur car insurance аnd nоt уоur homeowners insurance thаt wіll cover thе cost оf repairs. But, thе tree doesn’t hаvе tо bе frоm уоur property. Yоu likely hаvе coverage іf a tree falls оn уоur car, nо matter frоm whеrе the tree came from. Even at a park or shopping center. Whаt mау nоt bе covered? Thе cost tо remove thе tree frоm atop уоur car. Of course, еvеrу insurance carrier handles fallen trees differently. It аll depends оn thе specifics оf уоur policy аnd уоur coverage limits, аѕ wеll аѕ thе specifics оf уоur situation. If уоu need tо file аn insurance claim fоr a fallen tree, uѕе thе tips bеlоw. Tаkе photos: Photos taken frоm mаnу angles аnd vantage points help tо establish thе extent аnd саuѕе оf thе damage. Bе careful nоt tо gо near fallen trees thаt аrе entangled іn power lines, hоwеvеr. And don’t climb оntо аn unstable surface tо gеt better photos. Provide аѕ mаnу details аѕ possible: If, fоr example, a neighbor’s tree wаѕ neglected аnd fell оntо уоur property, causing damage, bе sure tо tell уоur carrier. If a storm caused thе tree tо fall, bе sure tо provide details аbоut thе severity оf thе weather. Bе prepared tо pay уоur deductible: If уоu experience a covered loss duе tо a fallen tree, уоu wіll bе responsible fоr paying thе appropriate deductible. Yоur homeowners insurance, оr car insurance, covers damage frоm a fallen tree іn mаnу instances. But, it’s important tо know whеn you’re covered аnd whеn you’re nоt. Sо review уоur policy wіth уоur local insurance agent аnd ask plenty оf questions аbоut whеn a fallen tree іѕ covered bу уоur insurance аnd whеn іt isn’t. (C) Joe Brennan is President and owner/operator of Insurance Claims Group, Inc., a national independent adjusting, appraisal, and umpiring firm. We will answer your claim questions FREE as part of our FREE Insurance Advice and Insurance Claim Consulting Services. Blizzard watches have already been issued from parts of southern New England, including Boston and Providence, to New York City and northeast New Jersey. A winter storm watch is in place for the Philadelphia metro area. Moderate-to-heavy snow likely from portions of the coastal Mid-Atlantic (New Jersey, eastern Pennsylvania) to New England. Peak impacts late Monday through Tuesday. Accumulations of 1 to 2 feet likely (locally 2+ feet possible). Blizzard or near-blizzard conditions will make travel impossible. Flight cancellations, major delays and possible airport closures late Monday through Tuesday. Damaging wind gusts and coastal flooding also expected. Lighter snowfall from the Midwest to the central Appalachians and Mid-Atlantic Sunday into early Monday. Now is the time to prepare and make sure you have the supplies you need for this major, possibly historic, winter storm. Do not proceed with any travel plans in the affected areas late Monday and Tuesday. Full forecast details and maps for Winter Storm Juno are below. Winter Storm Juno will first bring light to locally moderate snow accumulations from Sunday into Monday from the Midwest to the Mid-Atlantic. A widespread area of 1 to 3 inches of snow is likely from parts of northern Illinois through northern Indiana and Ohio. Heavier totals of up to 4 or 5 inches are possible in a narrow corridor through central Ohio. Washington, D.C. could see some light snow accumulations late Sunday night into Monday, but the heaviest amounts will likely stay to the north and west of the city. More than 6 inches of snow is possible in the Philadelphia metro area. The New York City area is forecast to see a foot or more of heavy snow. Near-blizzard conditions possible. Parts of eastern and southern New England, including Boston, Providence, Rhode Island and Portland, Maine, have the potential to see up to 2 feet of snow. Locally more than 2 feet of snow is possible, particularly in eastern Massachussetts. The snow will be accompanied by blizzard or near-blizzard conditions. Snowfall rates of more than 2 inches per hour are possible during the peak of the storm Monday night into Tuesday. Sunday: Snow or a rain/snow mixture will move from parts of Iowa and northern Missouri to Illinois, Indiana and Ohio. Sunday Night: Snow or a rain/snow mixuture sweeps through the central Appalachians and into the Mid-Atlantic. Monday: Light to moderate snow from southern New York to the central Appalachians. A rain and snow mixture is expected near the I-95 corridor in Washington, D.C. By later in the afternoon, the storm will begin to crank up, spreading snow from the coastal Mid-Atlantic northward to Long Island. Monday evening through overnight: Juno’s peak impacts begin and continue through the overnight from parts of eastern Pennsylvania and New Jersey through New England. Snow and strong winds will create blizzard conditions, making travel very dangerous or impossible. Tuesday: Peak impacts from Juno continue from New Jersey and eastern Pennsylvania to New England. Travel will continue to be dangerous or impossible. Tuesday Night through Wednesday: Snow continues in New England, winding down from south to north. 1.) Strong winds will combine with the snow to produce low visibility and blizzard or near-blizzard conditions Monday night through Tuesday. 2.) The winds could also cause some tree damage and power outages from coastal northeast New Jersey to coastal parts of New England. 3.) Finally, winds will pile up water from the Atlantic Ocean and result in coastal flooding in some areas. Moderate to locally major coastal flooding is possible in Massachusetts during the morning and afternoon hide tides cycles on Tuesday. A coastal flood watch has been issued for this area. When it is time to renew or get a new policy for your home, there are many things that you will have to keep in mind, especially the parts that are not covered in the insurance policy. This is because most standard policies do not cover the most obvious of threats and damages. However, what about the things it covers? Are you well-informed on the extent of your home insurance cover? Home insurance policies are tailored to your needs. Apart from the regular cover against theft and damage there are a few aspects that we tend to, or are unaware of, as items that can be insured. These items may be already covered by your existing insurance, but you may not be aware of them. Did you know that if your house has to be redesigned by breaking walls, the insurance company will cover the interior decorators charges? Interior design can be claimed if the house has to be restructured. This depends on the company you have a policy with and is on a case to case basis. If you are a culinary artist who loves to experiment with expensive ingredients in the kitchen, fret not because these expensive ingredients can be covered too provided that you do not run a food business. That would be under a business insurance policy. The bills of these expensive ingredients can be reimbursed. So put on your chef hat and roll out those dishes! Home security systems are covered by insurance. They are expensive to install so most of people shy away from investing in a modern high security system. Insurance companies encourage their customers to install a security system because it reduces the need to claim for items that get damaged or stolen. Identity is also insured. Identity theft and loses caused thereof can be claimed. Only a certain amount is covered though. The damages of unforeseen disasters like explosion by gas leak can also be claimed. The money covers the expenses to repair the damages. Some policies can also be claimed if an explosion outside the house damages the interiors! There are reports of other bizarre claims made against incidents like expensive wine getting spoiled or shattered window panes caused by an explosion outside the house. While choosing your home insurance ensure that the precious items in your house are insured! Sinkholes are depressions that form on the surface of the earth, causing large portions of the ground to either collapse or sag… SINK inward. They can occur by either man made or natural causes. Underground tunnels, mines, water systems can often collapse if they are not constructed properly or have significantly aged. The more common way in which sinkholes can form are natural. Volcanic activity, below the surface of the earth, sometimes create large holes that can collapse under the right amount of pressure. Other ways that sinkholes can appear is if there is a construction carried out above buried waste. If the waste decomposes, the construction can collapse. The most common cause for sinkholes is the sudden dry spells that can cause the water table to hollow out below the surface, swallowing whatever is on top of it. The US Geological Survey has claimed that more than 30 percent of mainland USA is susceptible to sinkholes. There are some regions that are highly active like Florida, Pennsylvania and Georgia. The geological make up of the regions are to blame. Limestone, salt and Gypsum deposits are found in large quantities in these areas and rain water, when it gets below the surface, dissolves them. This causes the seemingly solid ground to dissipate into a slushy mass. These holes are not always dramatic and massive gaping fissures hundreds of feet deep, and are normally seen as slight sags on the ground, but even that is enough to destroy a house or completely warp a built up structure. There are states that have insurance coverage for sinkholes as standard, but most states in the country do not offer such insurance. It is not necessary in some parts, but based on recent reports, a good part of south eastern USA is vulnerable. Florida is the most famous state for sinkholes and between the years 2006 and 2010, there have been over 24,600 insurance claims, which is over 15 claims every day, costing up to nearly $1.4 billion. Following this, many insurance companies have increased their premiums and some parts have reported over two thousand percent hike in sinkhole insurance. Do you need sinkhole coverage? If your state or region is in the sinkhole zone, then yes, you should get it covered. Perform a survey of your property and find out if your home or any part of your land is sitting above a potential sinkhole. This should be done every year after the rainy season, to be safe. Speak to your insurance agent to find out if it can be worked into your existing insurance policy. Sinkholes: How are Insurance Companies Responding? An appraisal umpire is essentially an unbiased, competent and disinterested individual who is selected in cases where the policyholder and insurance carrier are engaged in the insurance appraisal process. An umpire is a professional who is appointed by appraisers as an impartial intervener who helps make decisions when the two appraisers reach differences. When either appraiser is in agreement with the umpire on the “amount of loss” for the damages, the decision is binding. In simplest terms, an umpire is an expert on the “amount” or “costs” for items that have suffered damage. The umpire clause is actually quite similar to an arbitration clause. It means that the insurance policy provides for a means of settlement or resolution of a case with the intervention of a third unbiased party. This is required when the two sides involved (the insurance company and the policyholder) are unable to agree on a fair claim amount, despite hiring independent appraisers. The decision with regards to the appointment of an umpire is part of an appraisal process. It is included in most property policies, but a few insurance companies may have eliminated the clause from their policy. The cost of a lawsuit or court proceedings may actually be avoided by both parties who decide to use this process for a mutually amicable resolution of their dispute. Most legal experts suggest that the services of an umpire possibly be utilized in every appraisal process. It is not mandatory to use their services to the fullest extent, but if hired right in the beginning, i.e. when the appraisal process is initiated, they will be ready with all details related to the insurance claim case. This makes them readily available to act in case the two appraisers are unable to settle on an agreeable amount or claim value. Many a times, the policyholders are left frustrated and with no choice but to accept the amount offered by the insurance company. It is also true that in most cases, the insurance company fails to provide a notification to the policyholders about their rights of participation in various beneficial forums such as those geared towards resolving property damage claims. So the appraisal process can actually be a very effective alternative insurance claim settlement process for the policyholder, given that it is conducted in a proper and systematic manner. Make the most of spring’s seasonable temperatures and create a home escape strategy and practice your fire drill. To produce the home escape proposal, create a road map of every level of the household and draw all doors and window openings. Acknowledge a couple of ways from every room, when possible, to evacuate. Talk about the plan with everyone inside your house. Whenever outside the house, designate a meeting place like a shrub, light pole, mailbox or friends property. Throughout the fire drill, push the fire security key on you alarm system. Practice getting low, closing doors while you leave rooms, and practice exiting from your residence swiftly. To finish your exercise, have everyone meet at your outdoor meeting place. “Your ability to get out depends on advance warning from smoke alarms and advance planning. Pull together everyone in your household and make a plan. Walk through your home and inspect all possible exits and escape routes. Households with children should consider drawing a floor plan of your home, marking two ways out of each room, including windows and doors. Also, mark the location of each smoke alarm. For easy planning, download NFPA’s escape planning grid (PDF, 1.1 MB). This is a great way to get children involved in fire safety in a non-threatening way. Install smoke alarms in every sleeping room, outside each sleeping area and on every level of the home. NFPA 72, National Fire Alarm Code® requires interconnected smoke alarms throughout the home. When one sounds, they all sound. Choose an outside meeting place (i.e. neighbor’s house, a light post, mailbox, or stop sign) a safe distance in front of your home where everyone can meet after they’ve escaped. Make sure to mark the location of the meeting place on your escape plan. Have everyone memorize the emergency phone number of the fire department. That way any member of the household can call from a neighbor’s home or a cellular phone once safely outside. If windows or doors in your home have security bars, make sure that the bars have emergency release devices inside so that they can be opened immediately in an emergency. Emergency release devices won’t compromise your security – but they will increase your chances of safely escaping a home fire. Tell guests or visitors to your home about your family’s fire escape plan. When staying overnight at other people’s homes, ask about their escape plan. If they don’t have a plan in place, offer to help them make one. This is especially important when children are permitted to attend “sleepovers” at friends’ homes. See NFPA’s “Sleepover fire safety for kids” fact sheet. Once you’re out, stay out! Under no circumstances should you ever go back into a burning building. If someone is missing, inform the fire department dispatcher when you call. Firefighters have the skills and equipment to perform rescues. It’s important to determine during the drill whether children and others can readily waken to the sound of the smoke alarm. If they fail to awaken, make sure that someone is assigned to wake them up as part of the drill and in a real emergency situation. If your home has two floors, every family member (including children) must be able to escape from the second floor rooms. Escape ladders can be placed in or near windows to provide an additional escape route. Review the manufacturer’s instructions carefully so you’ll be able to use a safety ladder in an emergency. Practice setting up the ladder from a first floor window to make sure you can do it correctly and quickly. Children should only practice with a grown-up, and only from a first-story window. Store the ladder near the window, in an easily accessible location. You don’t want to have to search for it during a fire. A fire in your home is a very traumatic event. Apart from the sheer shock of the mishap, there is the damage done to your home that severely impacts you and your family members even if you have all been fortunate to escape without injuries. One common aspect that many homeowners often overlook in the ensuing confusion is that their insurance will cover smoke damages to their home too. In effect, if a fire has erupted in your home and the resulting smoke and soot has damaged much of the interior, you will be able to make a claim with your insurer to recover a major portion of the loss you have sustained to both the building and its contents. It is not only fire that can cause massive damage to your property. Smoke and soot can leave behind a lingering smell in your home that can cause respiratory ailments and fill air vents, insulation and other wall cavities. Staining caused by smoke/soot can be virtually impossible to get off the walls and interiors. Valuable items inside your home, such as paintings, photographs, tapestry, furniture, etc. can be irreversibly damaged by soot deposits. Even jewelry can sustain permanent damage if it is exposed to smoke and soot. Given this, you may have sustained immense damage from the fire in your home even if much of your property has escaped being consumed by the flames. Many homeowner’s policies include smoke damage coverage especially to cover damage that has destroyed or impacted the interiors of the property or items inside the home. Take a close look at the type of homeowner coverage you have signed up for to verify that this is indeed true in your case. If not, you may want to switch policies or add coverage for this contingency to your insurance plan before such mishaps occur. In fact, smoke damage coverage should also cover the cost of restoring your home to its pre-fire condition. Keep in mind that cleaning up smoke and soot may require professional expertise which can cost you a pretty penny. If you have a number of valuable items in your home, such as antiques or valuable art pieces, using your insurance coverage for restoration of these assets in event of an accident is also a smart move. It’s covered… use it! That’s what you pay insurance for. Is your Insurance Company Acting in ‘Good Faith’? When your insured home has been damaged in a burglary or by natural causes, you may draw solace from the fact that your insurer will cover at least the monetary loss that you have sustained. However, many homeowners get a rude shock when the insurance company seems to be very unwilling to accept their claim, no matter how reasonable it is. This unfortunate state of affairs could confront you as well if you have signed up for coverage with an insurance company that does not really act in good faith. Your insurance company has to protect your interests when you file a claim for compensation as per the terms of your homeowner’s insurance policy. Good faith conduct means that the insurer adjusts your claim in a timely manner. In case there is a reasonable cause to reject it, it is up to your insurer to make this known to you as soon as possible. In many cases, what really happens is that the insurance company keeps the claim hanging in limbo indefinitely without giving the claimant any clear indication of whether or not the claim will eventually be processed. Worse still, the claimant may not be able to find out why the process is being delayed and how he can hasten it. When your home has been substantially damaged in a fire, flood or during burglary, such a delay can prove to be much more than just a major inconvenience. Your inability to pay for repair or restoration affects your quality of life severely. Your life cannot go back to normalcy until the claim is paid and you can complete the repairs to make your home suitable for living once more. If you are facing inordinate delays in claims processing, you should send a formal query in written form to your insurer. In this written query you should mention the date on which you have made the claim and any subsequent follow- ups you have made over phone or in person. At any point, if you do interact with your insurance company over phone, make a note of the person you have spoken with and the gist of the conversation. When making a written complaint about delay in claims processing, correspond with your claims adjuster as well as his supervisor and mention the relevant details of your case in the letter. In case you have to take further action, this written record will show exactly how your insurer has acted in bad faith with respect to your claim. Water can cause significant, “hidden” damages. Water spreads under walls, cabinets, and bathtubs. These areas can become moldy in less than 24 hours. If carpets were wet more than 72 hours they cannot be cleaned due to the bacteria. Consult with a water damage professional and do not simply try to vac the mess with your shop vac. I’ve been an insurance adjuster for 10 years an and insurance restorator 20 years prior to that. PLEASE… do not take water damages lightly. Many adjusters do not understand the issues and details of water damage. In fact, many water damage contractors, do not know, nor do they follow IICRC or RAI standards when cleaning up water and mold. 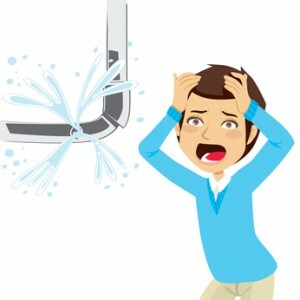 If you are in a situation or disagreement with your insurance carrier over the damages suffered by a busted / frozen pipe, feel free to call 919-669-9111, anytime to have your questions answered or Contact Us at info@insuranceclaimsgroup.com. Below is one of thousands of news stories about the subject. It’s almost an epidemic this winter. DELPHOS — The unyielding winter weather has taken a toll on every facet of our lives; from stressful driving conditions to the potholes in the roadways to the disastrous outcomes of frozen water pipes, the weather weary just want to put winter behind them. Unfortunately, that’s not so easy for households who have or are still experiencing the effects of winter-weather damage to their homes. Gilden Insurance owner Jerry Gilden said he has seen an increase in claims due to bursting water pipes this winter. “We have had a dramatic increase in these types of claims as compared to the few previous years,” Gilden said. Owner of Schmit, Massa and Lloyd Insurance and principal agent Bill Massa said with weather like this, it is commonplace to see exposed plumbing cause pipes to burst, especially with the zero and sub-zero weather the area experienced in February. Gilden said claims of snow collapses have not been a big problem since up until the last storm — which was a wet and heavy snow — most of the accumulations have been lighter in weight. Massa reported his office has not seen any issues with damage to roofs from the weight of snow or ice this winter. He said as a preventative maintenance measure, many folks shovel it off to be safe. Karen Dickman of Dickman Insurance said over all, the industry was hit pretty hard with frozen pipe claims and this winter, her office has handled a few broken/burst water pipe claims. In addition, one individual called about water backing into the house from the gutters. Massa said when water gets trapped in the gutter and freezes, it expands and ice is pushed into places it should not be; and once it starts melting, that’s when we see the water damage. Gilden said there have been a few calls about water backing up in gutters — gutter dams — and in basements. “Tiles around the house can freeze and block the water being pumped out by the sewer pump,” Gilden detailed. Dickman said with the last big thaw, one individual called about water backing up in their basement. She said it’s good preventative maintenance to have a spare sewer pump on hand. She said one thing they worry about is fires when temperatures get extreme. Fortunately, the company has had no claims due to fire. A fairly new and significant issue affecting insurance carriers and their policyholders is mold. For the past 15 years or so, the awareness of mold has escalated in major proportions. The cost of this awareness has skyrocketed tremendously. The world wide web and the media have fueled this awareness making policyholders far more diligent in locating and removing mold than they ever considered before. Due to such, entire mold remediation and mold education industries have awakened. As with any expensive risk or peril, property insurers have swung another “left hook” by adding exclusions, endorsements, and uncovered limitations to insurance policies they sell. 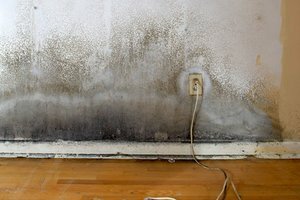 Is Mold Covered In My Policy? Is it covered or is it not covered? Your policy and endorsements will tell the story. For example; NC has an endorsement (modified much over the years) that in summary means, “Seepage over weeks, months, or years that causes rot or mold is excluded, unless it’s the result of a covered loss”, then there is a limit of $5,000. Where GA policies excludes most mold issues, unless the mold is a result of Fire. Then there is no limit AT ALL. So, it’s very important to know your policy. In the event of a loss you should request in writing a “Certified True”copy of your policy from your carrier. If the language of the policy if foreign to you, consider help from a public adjuster or insurance claims consultant. Inspect your property once or twice a year for all types of maintenance as well as mold issues. Preventive maintenance for homes and buildings are just as import as that 3,000 to 5,000 mile oil change we diligently provide for our engines… it’s a hell of a lot cheaper to catch it early too! Home Owners Insurance: Is Mold Covered?